Who doesn't love to get out on the open trails during with your Can-Am Commander or Yamaha Rhino? With so many trees and bushes around, it can be tough keeping your gear in a safe spot from getting hung up in those branches, not to mention the frustration when you see that prized target and don't have anything to catch it with. 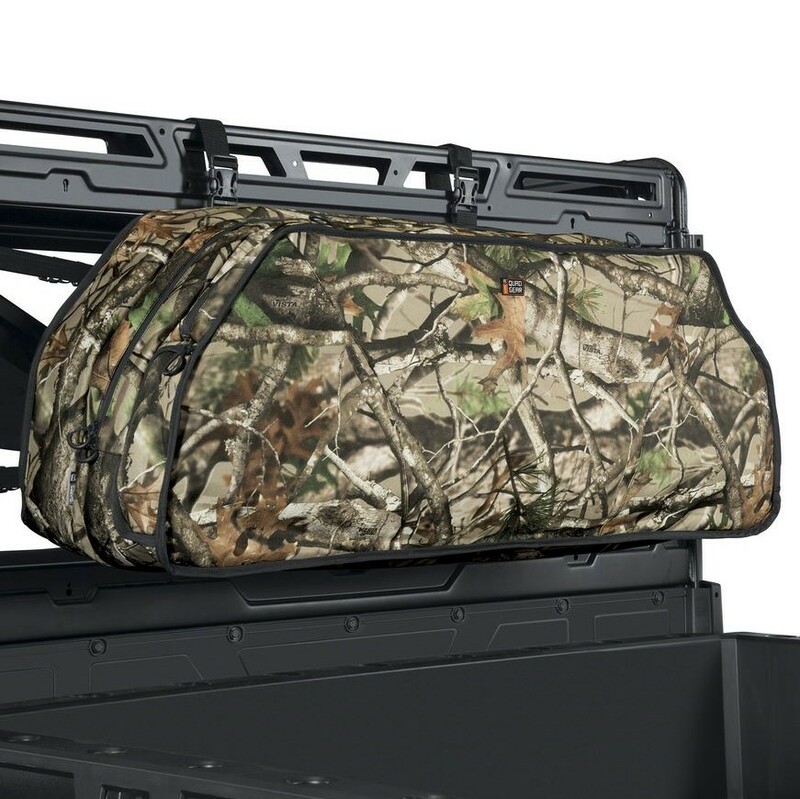 With the Camo Double Bow Case by Classic Accessories, you can keep your belongings in a safe, easy access location. 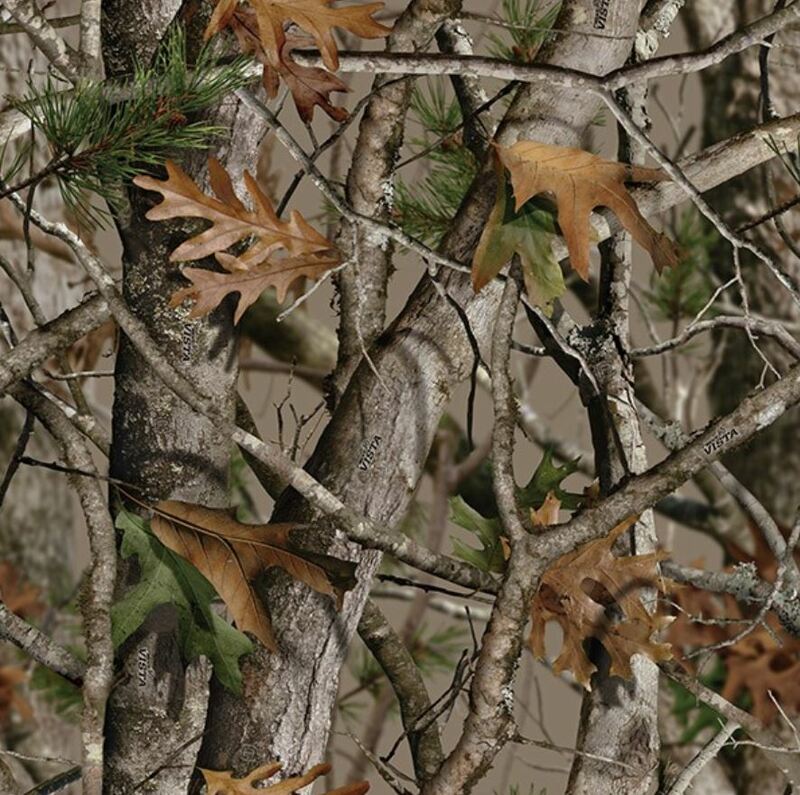 With durable construction and a sweet camo vibe, this bag is a must have for any outdoors-man. 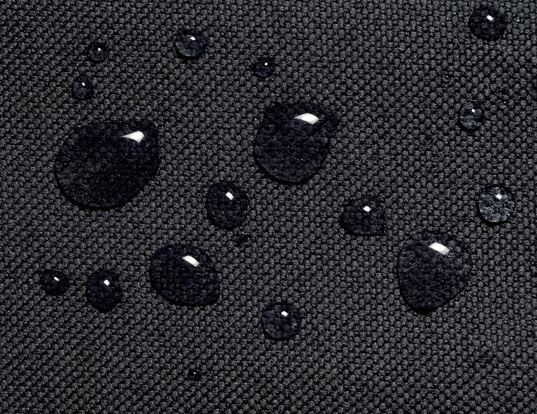 This bag is built from a super durable ProtekX6 fabric that is water and abrasion resistant. It comes complete with three large gear pockets for things like extra shells or other necessary items along with its roomy interior made to hold other equipment. 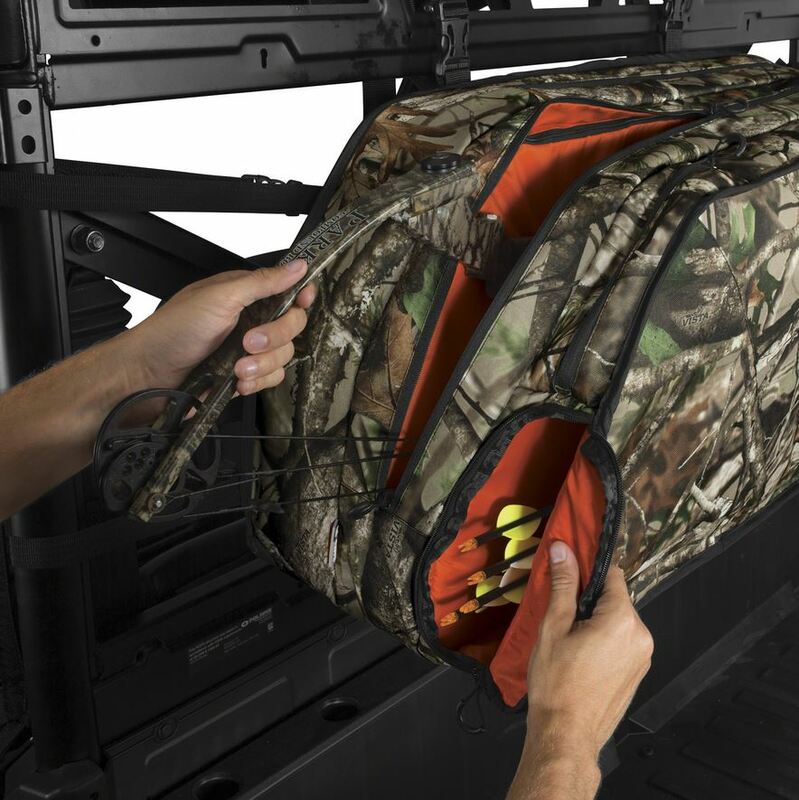 With heavy-duty straps and quick-release buckles, this bag hooks-up firmly to the back of the UTV paired with bottom D-rings for extra lash points when needed. From the strong weather resistant zippers to the extra thick padding for safety, this case is the perfect outdoor accessory for those lengthy wooded adventures. Holds 2 bows (up to 34 in) without quivers. Has storage for only one quiver. Has a couple small storage areas for accessories. Could hold one long gun but would use area where bow quiver stored.. The padding on this case is really thick and keeps rifle secure while riding. This bag is awesome! It kept both my sons and my bow clean and handy on our bow hunt. It sure beats having to hold your bow or have them bounce around in the backseat of the RZR on those long trips to the hunting area. It stayed really secure the entire trip and performed flawlessly.